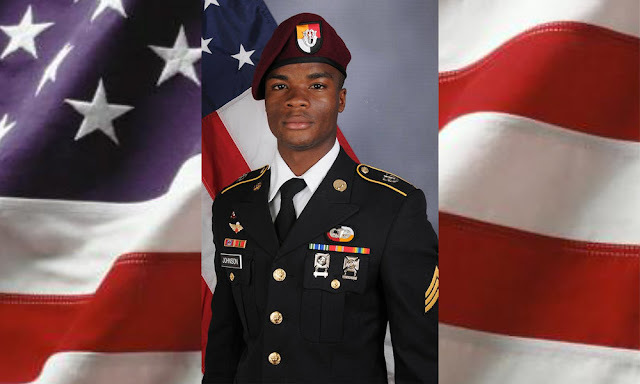 President Donald Trump told the widow of a US serviceman killed in the ambush in Niger that "he knew what he signed up for, but I guess it still hurt," according to Rep. Frederica Wilson. The call from the President to Johnson's widow came shortly before Johnson's casket arrival, Wilson, a Florida Democrat, said on "CNN Tonight with Don Lemon" Tuesday. "Basically he said, 'Well, I guess he knew what he signed up for, but I guess it still hurt,' " Wilson said, adding that she listened to part of the call on speaker phone while in a vehicle with the family. "That's what he said," she added. Asked earlier if she was sure the President said that, Wilson told CNN affiliate WPLG: "Yeah, he said that. You know, ... that is something that you can say in a conversation, but you shouldn't say that to a grieving widow. Everyone knows when you go to war you could possibly not come back alive, but you don't remind a grieving widow of that. That is so insensitive. So insensitive."